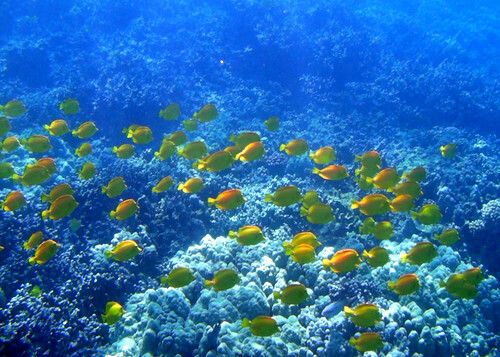 Hawaii is home to 75 percent of U.S. coral reefs, and Honaunau Bay on the west coast of Hawaii’s Big Island is arguably one of the best snorkeling spots in the country, offering clear water, healthy coral, fish, turtles and even spinner dolphins. The bay sits below the Puuhonua O Honaunau National Historic Park, a national park well worth the trip itself. 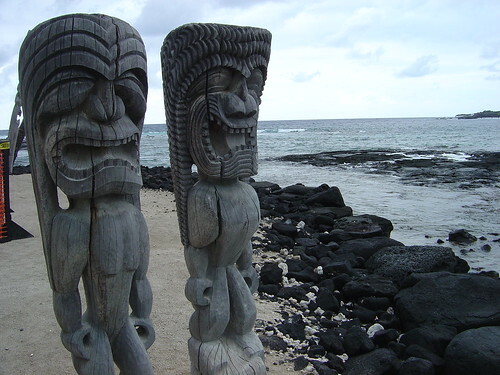 The National Park was a place of refuge for ancient Hawaiians. Warriors fleeing defeat, criminals and people who broke a sacred kapu (or taboo) could all find sanctuary here. Today, visitors to the park can tour the remains of ancient Hawaiian temples or hike up the hill for an unparalleled view of the bay. Sea turtles often sun themselves in the shallow Royal Cove, an area once reserved for Hawaiian chiefs. Events in the Park include historical tours and opportunities to learn Hawaiian cultural skills such as palm frond weaving, fishing and carving. 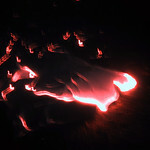 Remember the Heiau are sacred; visitors should not disturb temple remains in any way. Grab a snorkel, mask and fins and slip into Honaunau Bay’s crystal-clear water. The stress just melts away. You cannot enter or exit the water in the National Park because doing so would be an affront to the sacredness of the site. Instead, enter the water to the north of the park from a lava outcrop called Two-Steps. The lava is almost at water level and the rocks get their name from two small “steps.” Sit on the edge, put on your gear, and you’re in the water in two steps. Well protected from coastal swells, Honaunau Bay has a depth of approximately 10 feet close to shore, so you can float over mounds of hard coral as the fish swim by. 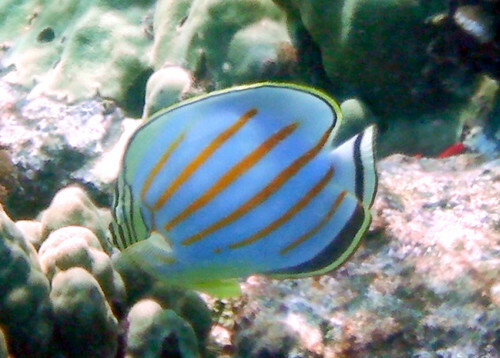 The Bay is an excellent place to see yellow tang. 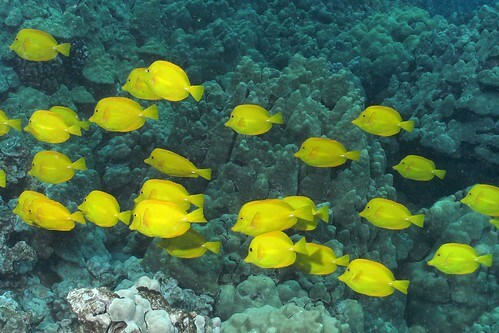 Once abundant along the Big Island’s Kona coast, overfishing for the aquarium industry greatly reduced yellow tang populations, but you can still see schools of these golden fish in Honaunau Bay. Snorkeling up the south shore of the Bay keeps you in shallow waters frequented by Hawaiian green sea turtles. Head to the right of the entry point and the depth increases to 30 feet, eventually dropping as deep as 100 feet. Here, if you’re lucky, you may see Hawaiian spinner dolphins, which often come into the Bay to rest after spending the night hunting. If you are lucky enough to see turtles or dolphins, remember both animals are federally protected. Harassing, chasing, touching or approaching either animal results in a hefty fine. Remember as well these are wild animals. Despite their gentle reputation, a spinner dolphin can deliver a nasty bite. Keep your distance, respect the wildlife and feel blessed if you’re lucky enough to catch a glimpse of these elusive animals. Two Steps has no showers, concessions or lifeguard. Porta-potties are available. Parking is not available at the beach; you’re better off paying for parking at the National Park and walking down to the beach. Parking fees are well worth the cost, whether you’re snorkeling, touring the Place of Refuge, or both. This post is sponsored by Maxwell Systems (<http://www.maxwellsystems.com/), makers of contractor accounting software. This article was written by Carly, an aspiring writer. In her spare time she loves writing about anything and everything. She loves that blogging allows her to share her writing with people all over the world. I am in love with Honaunau! It looks amazing, pristine waters and a great cultural heritage….i have no qualms being somewhere a bit more basic if its this stunning, sometimes its great just to turn off technology!